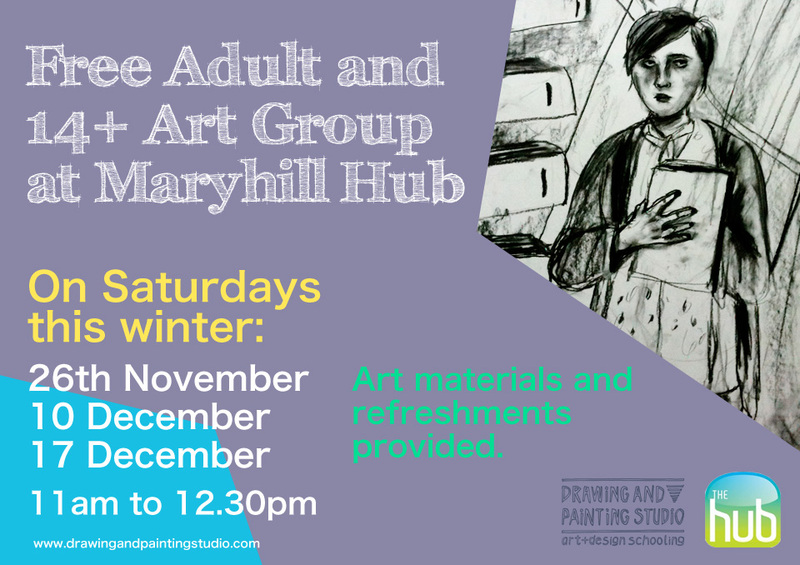 We will be holding some free community art classes in the Maryhill area of Glasgow this winter. The location of the class will be at Maryhill Hub, which is 5 mins walk from Maryhill Tesco. 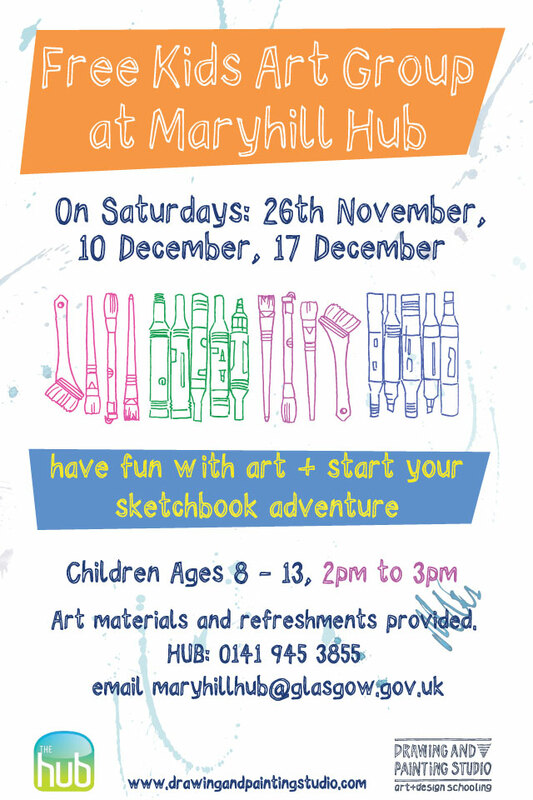 Have fun with art – come along and join our sketchbook adventures. Art materials provided.